Welcome to the Buchenhof, your exclusive apartment hotel in the Bavarian village Grainau. Our hotel lies at the foot of the Zugspitze where its traditional style compliments the alpine surroundings. 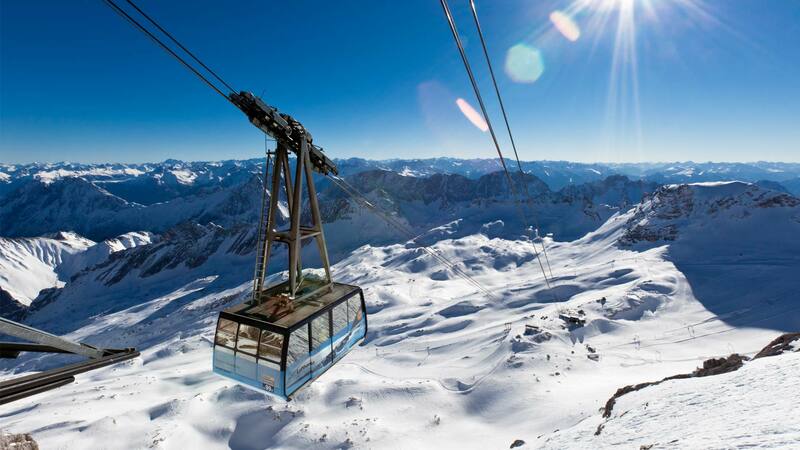 The view is exceptional: You can see the majestic Zugspitze and the Alpspitz massif. The interior of our apartments offers the comfort of a modern hotel. The close prximity to local skiing and hiking areas makes the Buchenhof the ideal choice for active people and families looking to spend a memorable and exciting holiday. After a long hike, a skiing day or an evenful day trip, our house offers the quiet and calm you deserve and that you hope for when staying in the mountains. Our family-friendly holiday apartments are modernly equipped and furnished They offer all the conveniences that will make your stay enjoyable. Every apartment features a balcony or terrace; your own, well-equipped kitchen; your private bathroom as well as a Television and free WiFi. You can also choose to book our hotel breakfast. 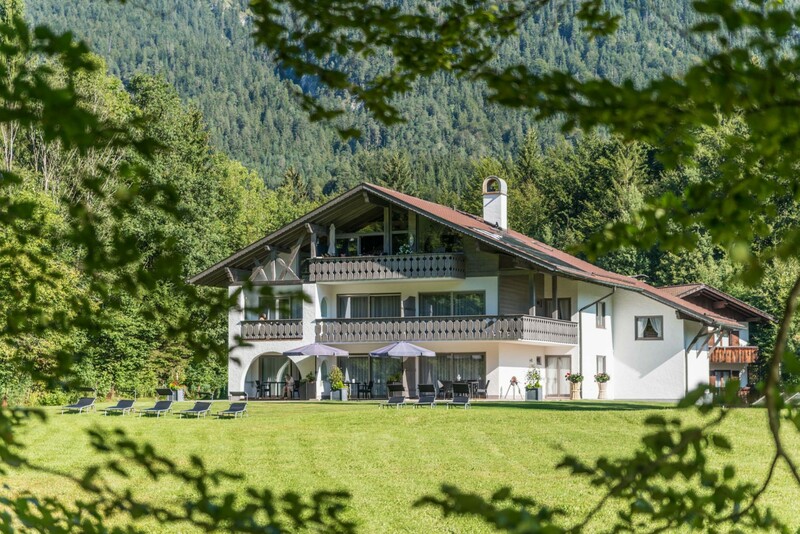 The Buchenhof's 8500m² (more than 2 acres) large premises are an ideal place to relax. If you want to take a break after visiting our in-house spa and sauna or if you're looking to sunbathe, our garden is the place to go. Here you will also find our barbecue area and the hotel playground, which is located in ideal distance from the main house. The Buchenhof lies in one of the most beautiful regions of Germany. It offers an excellent mixture of rural idyll and well-kept apartments with a sophisticated atmosphere. Feel completely at home while at the same time enjoying the service our hotel offers. Our self-catering guests can choose to book our healthy breakfast buffet in our breakfast room. The village of Grainau at the food of the Zugspitze offers an impressive and unique view of the surrounding mountain ranges such as the Wettersteingebirge (Wetterstein Mountains) and the Ammergauer Alpen (Ammergau Alps). In the summer, the valley is characterized by lush green alpine pastures and coniferous forests typical for alpine regions at higher altitude. In the winter, our guests can look forward to a snow-covered alpine panorama.. The Zugspitze in the Wettersteingebirge (Wetterstein mountains) is the highest summit in Germany and part of the south-eastern Bavarian Alpes. 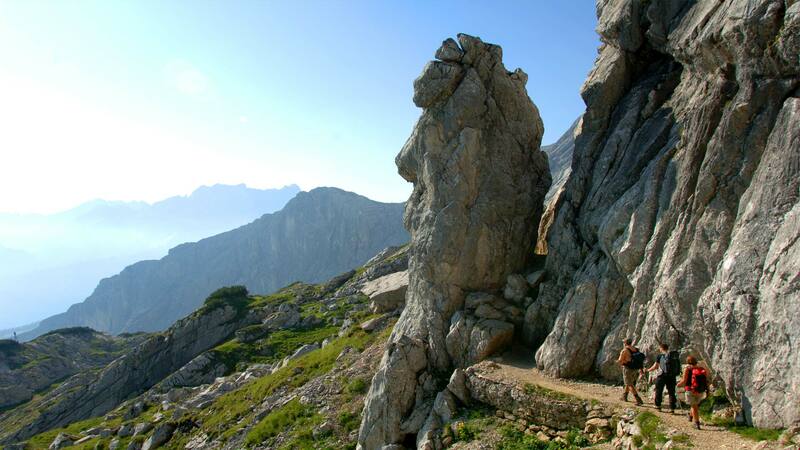 It is a landmark of the German-Austrian border region and has always been known to spark people's imagination. There is no town or village closer to the Zugspitze than our beautiful Grainau. Grainau lies in an area that is blessed with numerous possibilities for all kinds of mountain sports and winter sports. We have a spa with a sauna as well as a large garden with a sunbathing lawn for our guests to feel perfectly relaxed..
Best prices, best booking conditions, no hidden costs. Regional buses and trains are included; the train station is close to the hotel. From here you can comfortably travel to the Classic skiing area or to Garmisch-Patenkirchen Transporting your bike by train is also no problem.